I've never been a big fan of toys that grow when you put them in water. Usually they're made out of a material that gets funky and disintegrates after a while, even if you never grow them. 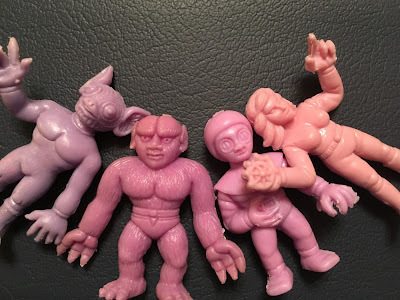 Take the recent dollar store gems Braindead Zombies, for example--they're cool figures, but they would be much cooler if they were made out of a normal rubber or plastic. That said, there's a set of grow toys that holds a special place in my weirdo heart, mostly because I remember owning some when I was a very little kid. 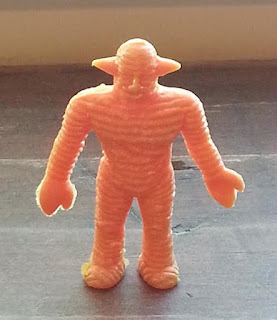 I'm talking about some of the obscurest of the obscure: Wonder Grow Monsters! "Encountered and witnessed on the Earth. Grows 100 times its earthly size." Somehow I doubt the 100 times its earthly size thing, but whatever. 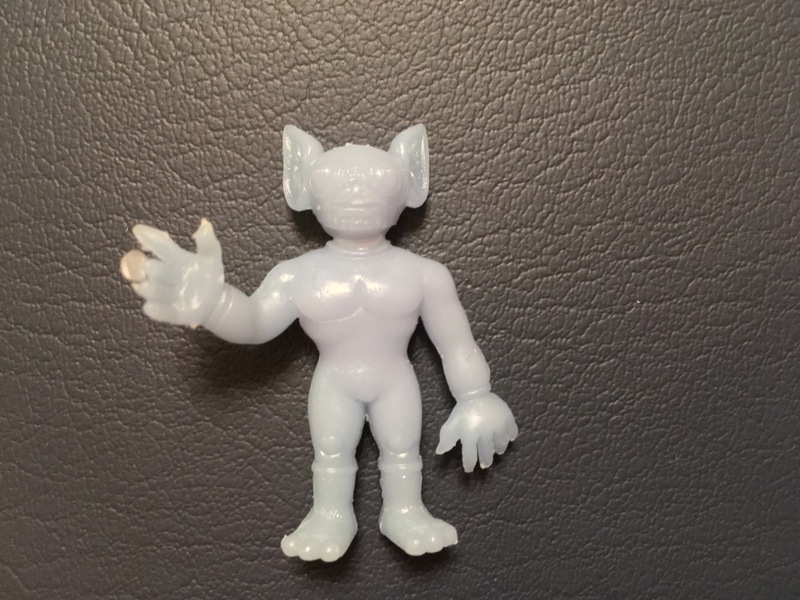 Two figures came in each package, with the back showing drawings of all 11 creatures available as well as when and where they were encountered. I'm no expert on alien encounters, so I'm not sure how factual this information is. Does anyone reading this know? I know for sure that as a kid I had the Koufu, Japan alien in forest green. I think the other figure from the package was the Nebraska one, but I can't really remember as that figure bit the dust long before the Koufu one. I do remember really wanting to get some of the more interesting-looking creatures shown on the back (like Hokkaido or Bristol Lake), but not seeing them at the store. I think my mom bought me a pack when they were on clearance, so it would figure that all the best creatures had been snatched up by then. Recently I was able to purchase the sealed pack shown here from another collector. 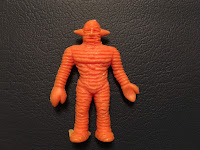 For some reason, it includes two of the same sculpt--the Carni, Italy alien. Which sadly is probably the dullest of 'em all. Even so, I couldn't resist bringing some Wonder Grow Monsters back into my life after years of being without. 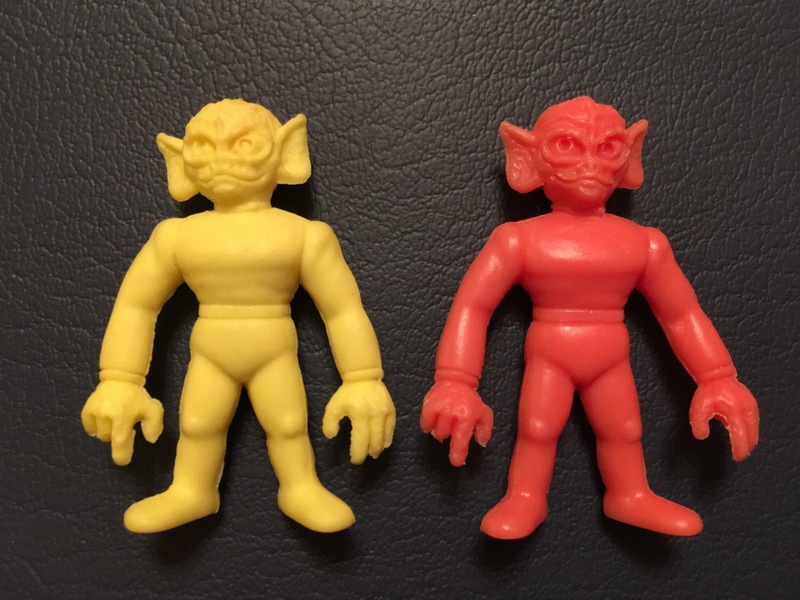 As far as release information, the package says these were put out by Geoffrey Inc. in 1987, and that they were manufactured by Shin Nihon Tsusho Co., LTD of Japan. I'm pretty sure Geoffrey Inc. means they were Toys R Us exclusives, which would make sense as I know the ones I owned as a kid came from there. 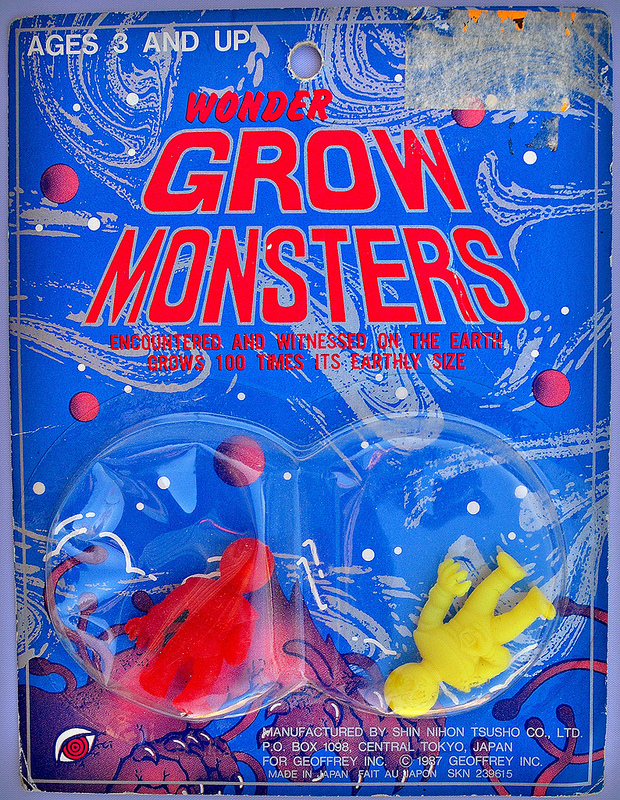 But wait, surprisingly there's even more to the Wonder Grow Monsters story. 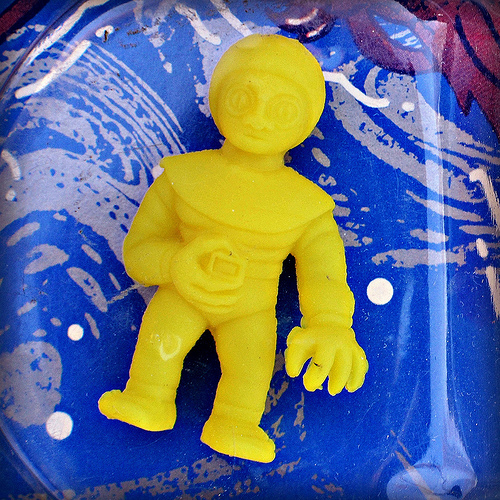 Collectors in a thread on LittleRubberGuys.com talk about getting some of these figures in random lots, but say that they're hard plastic and change color in water instead of grow. My guess is that this is how these sculpts were released prior to being produced in grow form for Toys R Us, but that's just speculation. I guess they could have come after, too. Instagram user jedwardgregal sent me a photo of a few of them and gave me permission to include it in this post. He said they're marked with ©HIRO on their backs. 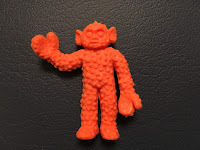 And here is another hard plastic example contributed by Bigazzhead. 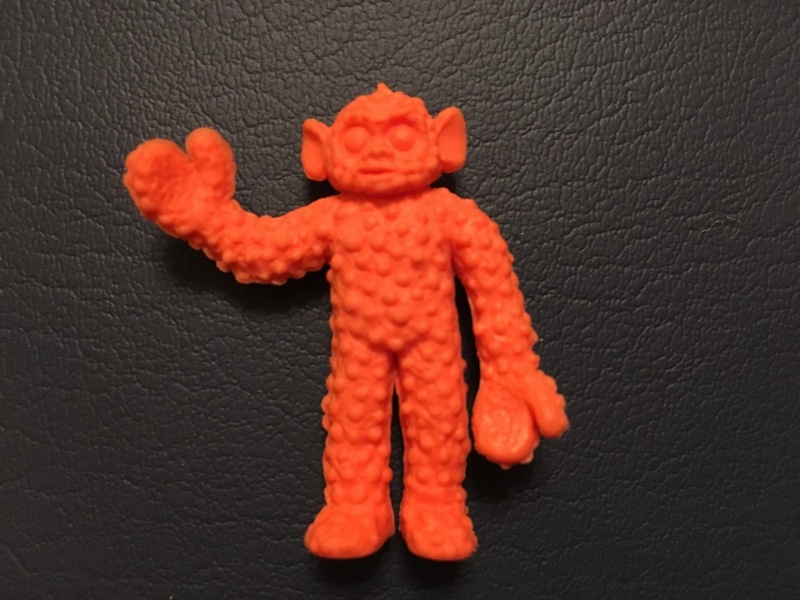 I've never personally come across these plastic versions, but would really like to get some. 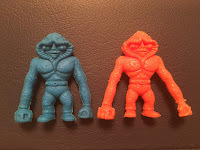 The sculpts are pretty cool and would fit nicely alongside MUSCLE figures. If anyone has any additional information or photos of these figures, or remembers coming across Wonder Grow Monsters back in the day, be sure to leave a comment! 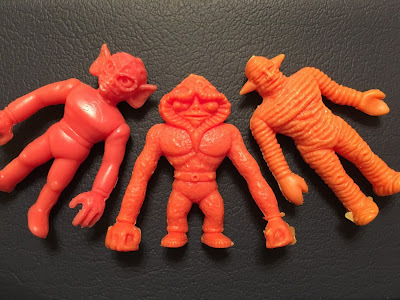 Fellow collector William Jarchow, who you can find on Instagram under @delta_orange, has put together an impressive collection of the non-Wonder Grow versions of these figures. 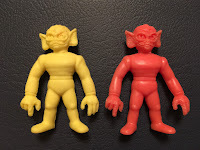 His collection consists of both hard plastic and keshi rubber figures, further suggesting that these figures originated as keshi in Japan, and were later released in the U.S. as the Wonder Grow Monsters versions and the hard plastic versions (which haven't yet been found to have a specific name). A big thanks to William for submitting the great information and photos below! 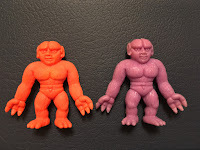 The keshi versions are always on the left - except Florida, which I don't have a hard plastic example of yet. Otherwise, all are hard plastic versions. I have never seen a hard plastic version in flesh but I have seen a picture from Japan of a flesh colored keshi. 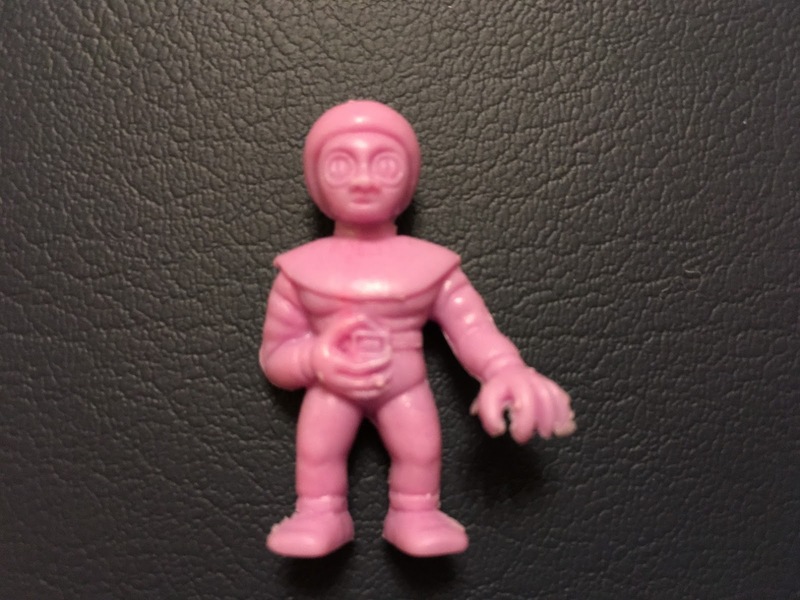 The hard plastic is a very light material, though I would say not quite as brittle as a crackerjack toy, definitely not as dense as a MUSCLE figure - no flexibilty. 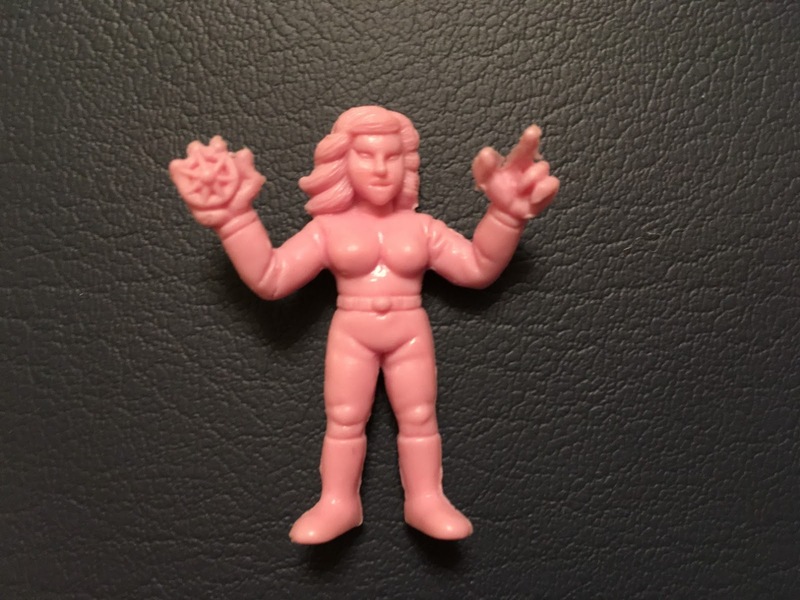 Keshi figures feel just like any other flexible keshi, similar to Kinnikuman. The light blue Kelly Hopkinsville is perhaps the most unusual - I have never seen another example of a semi -translucent figure. Both the mold flashing (all Kelly figures I've encountered have mold flashing on their gesturing hand in the same place,) and material feel seem to indicate it is authentic. Perhaps a factory error. Those are awesome! I guess the best bet for landing a few is in random muscle lots on ebay. The hard plastic ones that change color sound really good. You're probably right! I'm actually surprised I haven't come across any in random lots yet. I snagged my one figure in a MIMP lot probably around 3 years ago. And I swear there was like a 2 year period where I was spotted 4 or 5 of these, but it's probably been at least another 2 years since I've seen any. Would love to see a pic of yours of you get a chance! And possibly add to this post, if you're cool with it. Those solid plastic version look outstanding. They must be very rare. Agreed. 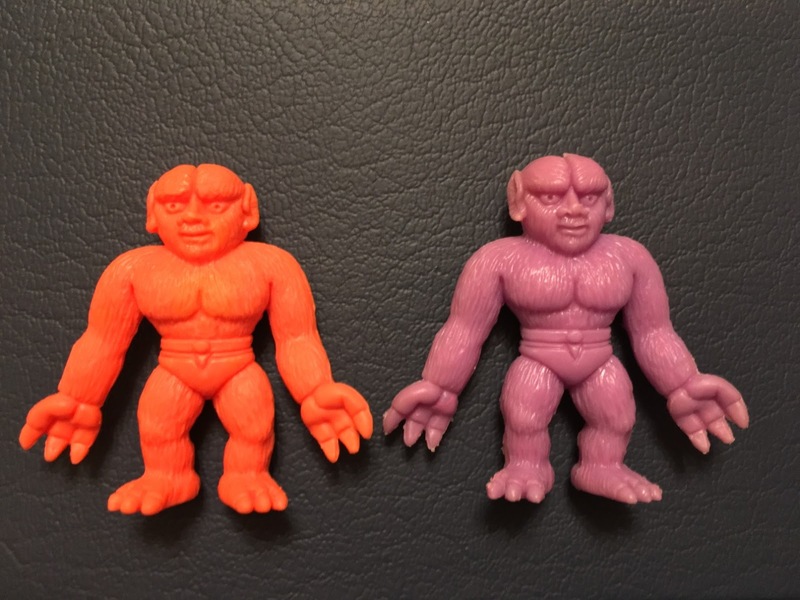 There are a few that popped up on Yahoo Japan recently, but they look like soft rubber keshi material (maybe I'll add the pics to this post). 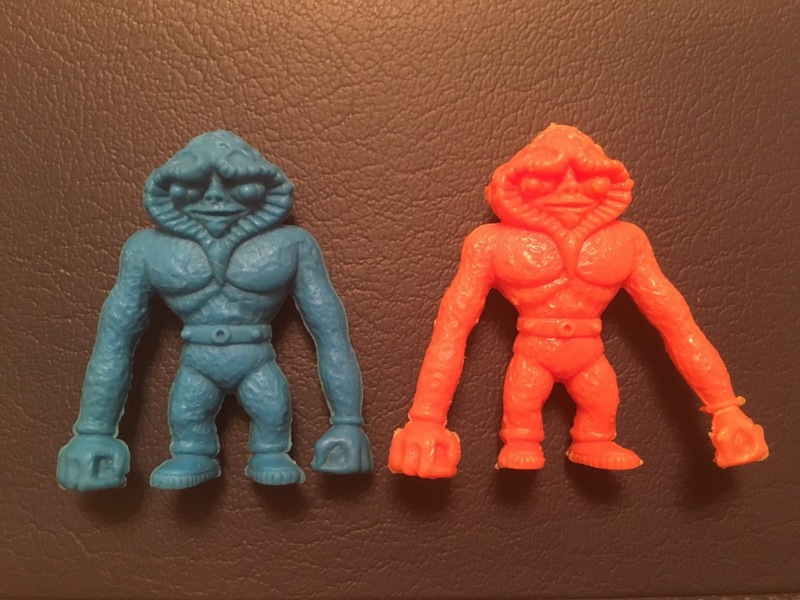 It seems like they originated as Japanese keshi which were then bootlegged in hard plastic as well as these grow versions. I ordered that book, hoping those Aliens are mentioned or shown inside. I have the Brazil one in hard purple plastic. Not sure if it changes color, but I would doubt it. I need to find it and see what it is marked. Hi. Does anyone have either the Pascagoula or the Kelly/Hopkinsville figure(s) for sale?